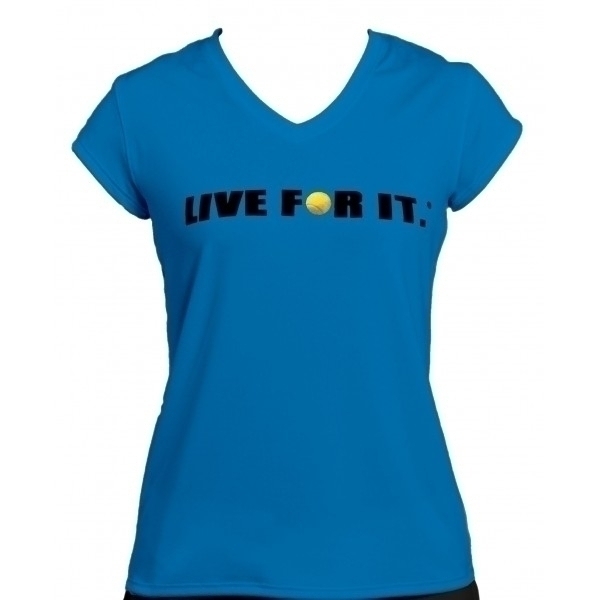 Conquer your opponent and live for tennis. This is every tennis players’ essential must-have moisture wicking cap sleeve top. Make a stylish statement while sporting the signature LIVE FOR IT performance collection.